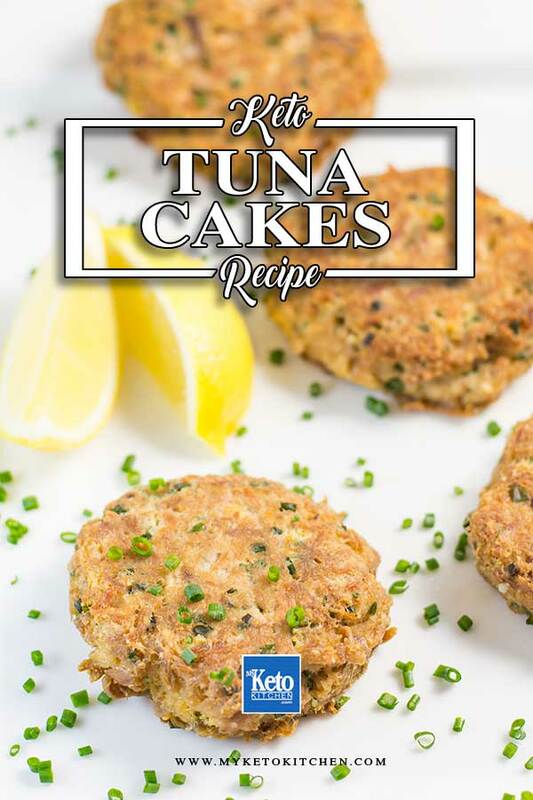 Home » Recipes » Keto Tuna Cakes – Quick and Easy Recipe! 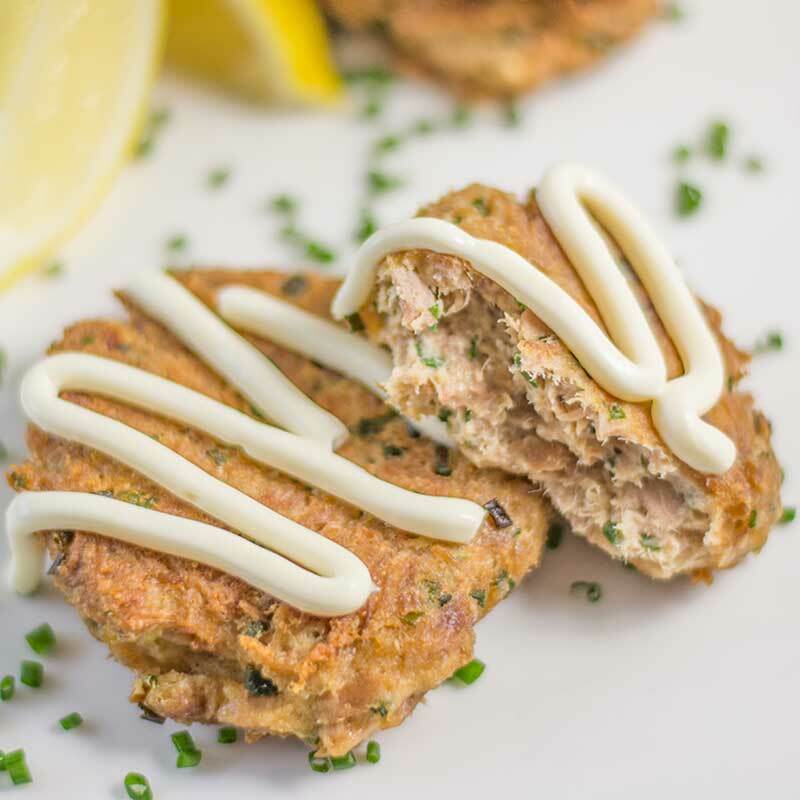 These super simple Keto Tuna Cakes are a great quick and easy meal to throw together. They are crispy on the outside and moist on the inside. 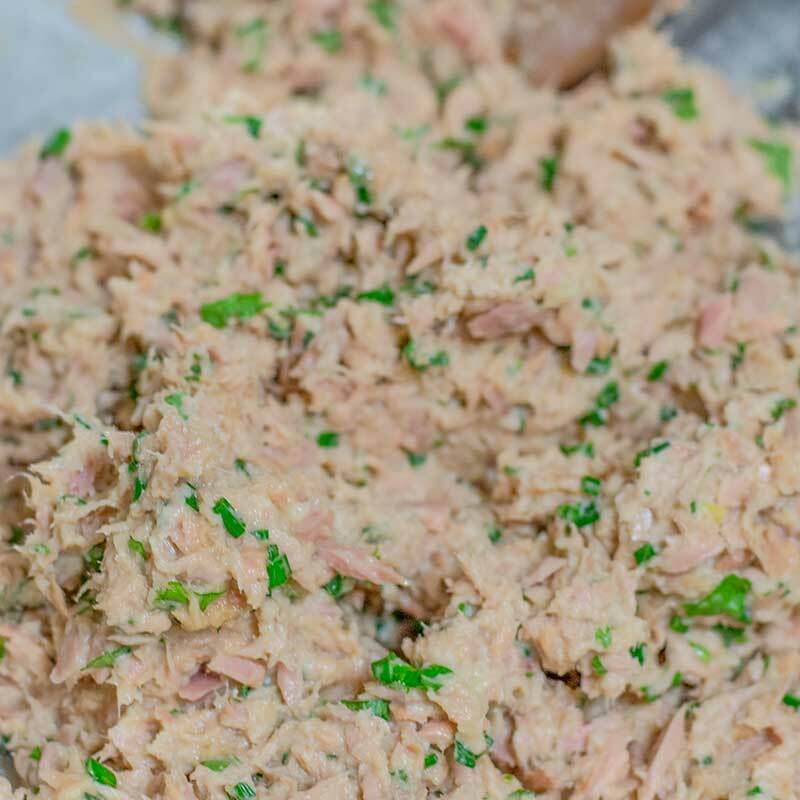 If your mixture is wet and sloppy, your tuna hasn’t been drained enough – just add an extra tablespoon of almond flour to help it stick together. 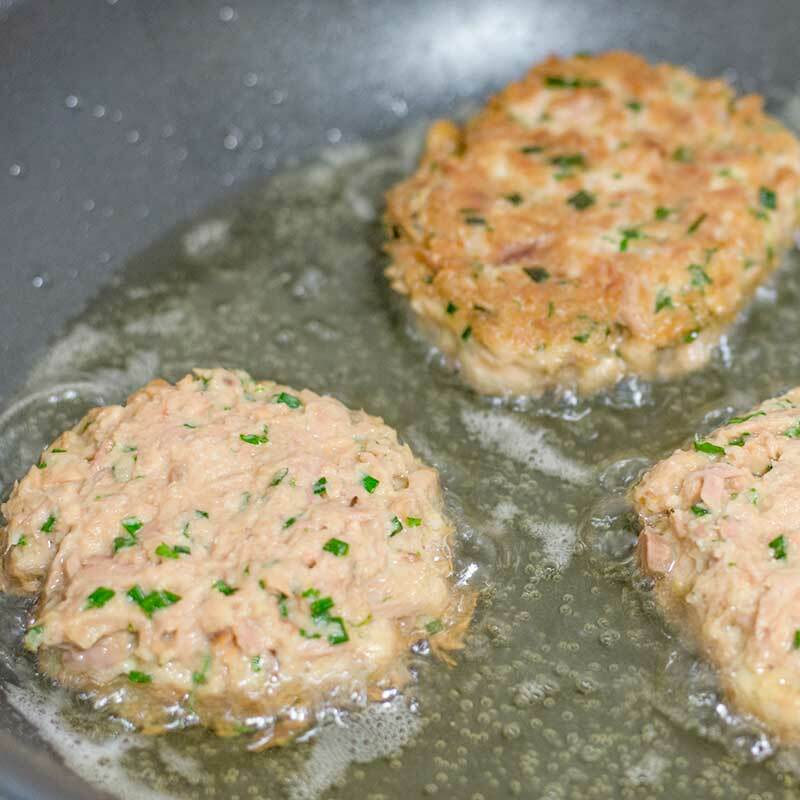 This low carb tuna patties recipe makes 4 serves. 1 serving is 2 tuna cakes. We recommend making these keto tuna cakes fresh. Leftovers can be stored in the fridge for up to 4 days or frozen for up to 3 months. Drain the tuna really well. You should end up with about 80g/10 ounces of tuna. In a large mixing bowl, add all ingredients except the oil. Mix well. The mixture will be moist but hold together when you make a ball. Place a large non-stick frying pan over medium heat. Drop quarter cup sized dollops into the hot oil and fry for 3-4 minutes on each side. You should get 8 tuna cakes. Serve with a squeeze of fresh lemon and a dollop of Low Carb Mayonnaise or Keto Garlic Aioli. Serve with a squeeze of fresh lemon and a dollop of Low Carb Mayonnaise. Low Carb Tuna Patties. This quick and easy recipe is ideal for a quick lunch. Make fresh or enjoy the leftovers! They are healthy and gluten-free. To make a larger batch of this Keto Tuna Cakes recipe adjust the servings above.